La Marquise Luxury Resort Complex is the perfect venue to host your event in Rhodes exactly the way you have imagined this to be and impress your business associates or delegates with the facilities and top notch service of one of the most luxurious resorts in Greece. 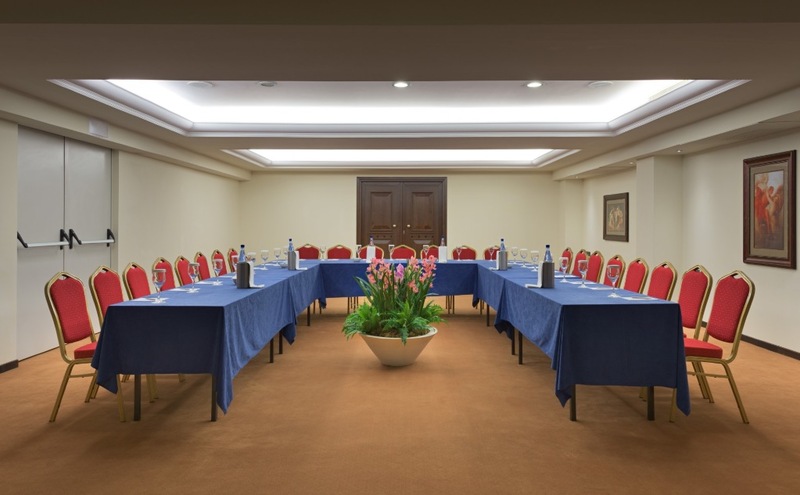 After all, selecting a conference hotel in Rhodes is all about skilfully combining business with leisure and when it comes to that we are confident that our hotel is one of the undisputable winners. In terms of business facilities, La Marquise features a state of the art Ballroom with a total capacity of 450 delegates and a second small boardroom ideal for business meetings, all conveniently located in the main building close to all hotel facilities and services. 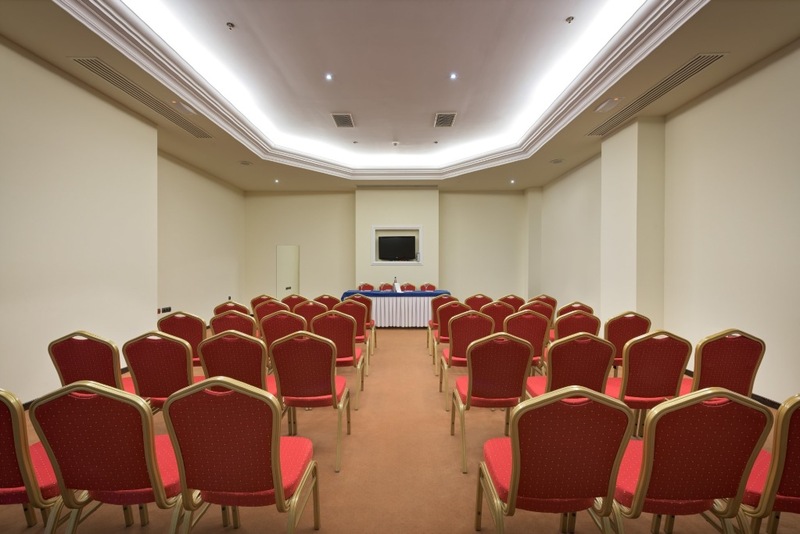 The conference room and meeting room are all equipped with the latest in audiovisual technology and a fast wireless internet connection is included as a standard. And if you are looking for some really rare audiovisual equipment, rest assured that we can probably meet your request provided that advance notice and sufficient time is given (extra cost may apply in such arrangements). As far as the set up is concerned, we can customise our rooms to any style required and tailor make coffee breaks to the variety and degree you wish to offer. And if you are planning to accompany your event with a glamorous gala dinner, our Food & Beverage manager will be happy to discuss your requirements so as to offer a menu that meets both your culinary expectations and budget. Our experienced team has already flawlessly organised numerous conferences in Rhodes and private Banquet functions and we have countless success stories to share to make our point.